Sharing the Space! Are you interested in creating accessible theatre for young people with profound and multiple learning disabilities? DIY Theatre Company share their knowledge with this training event for Drama Workers and other Creative Practitioners. DIY has a unique approach to inclusive arts; placing performers with learning disabilities at the centre of structuring the organisation, planning and facilitating drama workshops and creating innovative theatre. This is a rare opportunity to find out how DIY works, to experience our latest show ‘Give Me Space!’ and to learn how to create multi-sensory, interactive and accessible theatre and arts for young people with a range of learning disabilities. Give Me Space! like all DIY performances, has been created by our company of actors with learning disabilities. 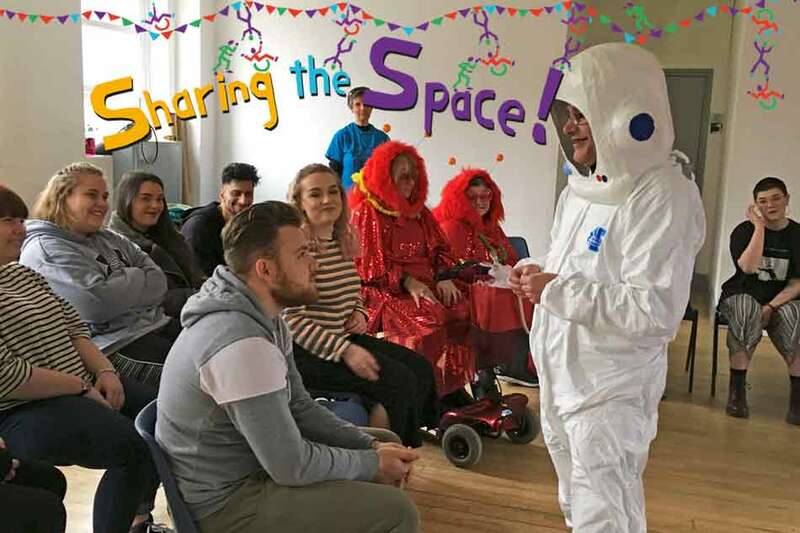 Using the themes of space travel and exploration, DIY has created a multi-sensory, interactive theatre experience specially designed for young people with Profound and Multiple Learning Disabilities. Throughout the training day you will have the opportunity to create your own piece of interactive and accessible arts practice. You will work closely with our company to understand how these techniques can be used within your own practice. Sharing the Space! is open to anyone who is interested in making theatre and arts practice accessible to young people with learning disabilities. We welcome professional practitioners, artists, teachers, students and anyone with an interest in inclusive practice. 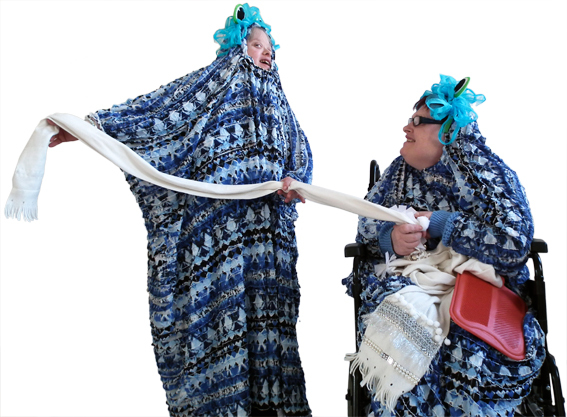 11.00am – Introduction to DIY Theatre Company, our practice and the key principles of our multi-sensory work. 12.15pm – Lunch and a chance to see videos of our work, view a range of materials and chat to members of the company. 1.15pm – ‘Give Me Space’ performance, followed by a ‘hands on’ opportunity to explore approaches to multi-sensory performance, with the support of company members. To book your place please visit: eventbrite Sharing the Space!